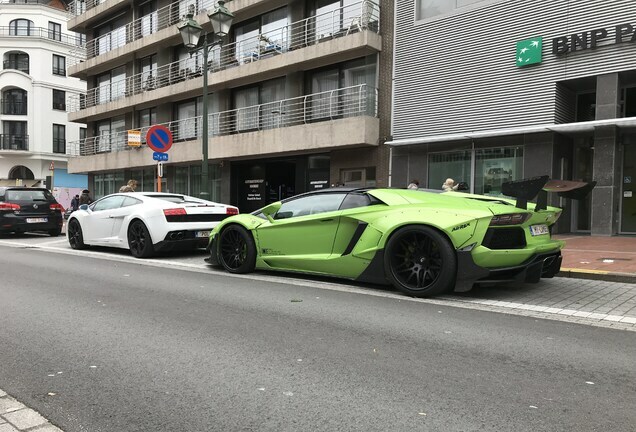 With the latest Aventador S, the LP700-4 (the first generation Aventador) is no longer considered a special spot. 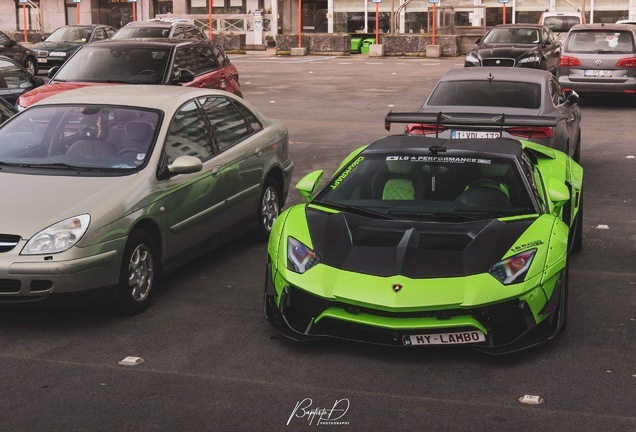 In fact, the LP700-4 (including the Roadster) has been spotted more than 8,000 times on this site. But when the people from Japanese car shop "Liberty Walk" apply the “Bosozoku” style body kit, it becomes a different story. 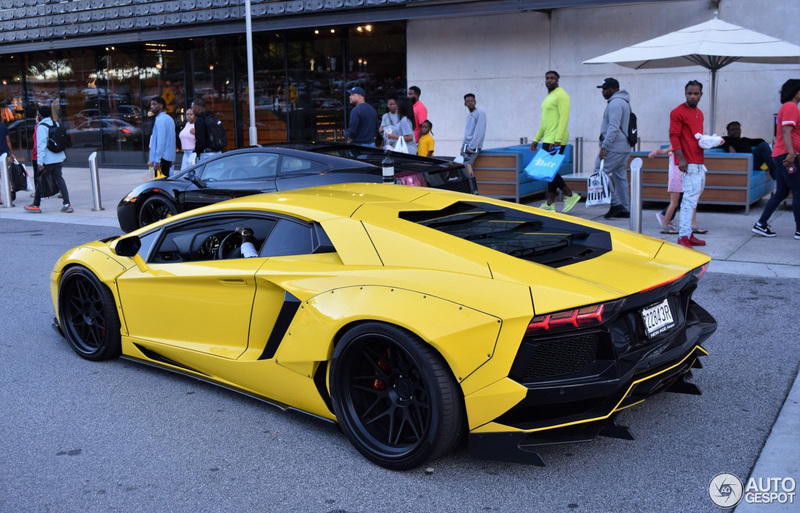 This amazing looking Liberty Walk Aventador was spotted by spotter "Horse-Power" in Atlanta, Georgia (USA). The styling of Liberty Walk is not liked by all car enthusiasts, and some find it simply outrageous that the original design of the car is "destroyed". With its wide fenders and visible nail finishing, it is most definitely a different and more drastic style of tuning. And once applied, it is difficult, if not impossible, to bring the car back in its original state. The big question is how the styling ages overtime, and how it will impact the value of the car. 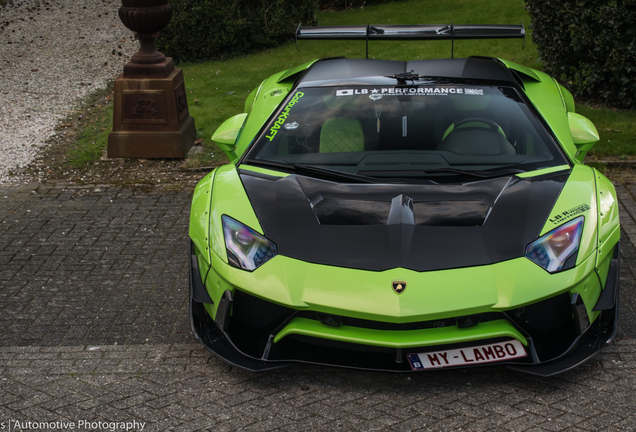 But for now let's enjoy this masterpiece and especially the great color finish of this Aventador.